Date Women Who Earn As Much As You Do – Gbemi Olateru. Beat FM personality, Gbemi Olateru-Olagbegi talks relationship and finance in her recent tweet. 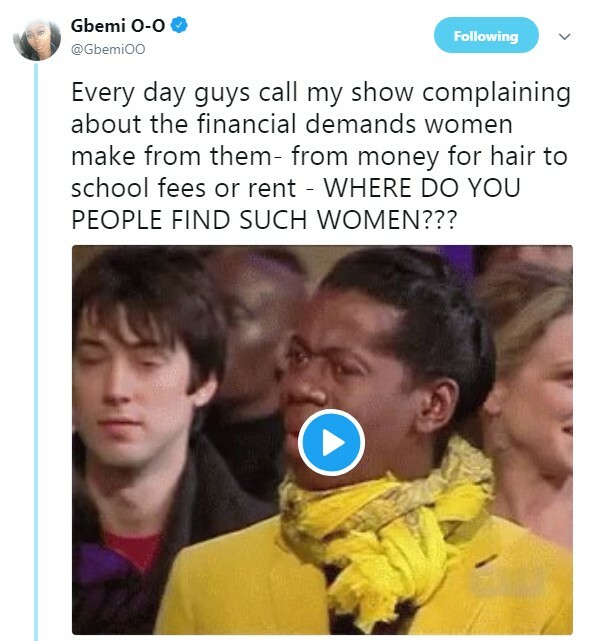 According to her guys call her show everyday complaining about the financial demands women make from them. She then advised them to date women who earn as much as they do. Falz, Yemi Alade, Wizkid, Davido SAnd Others On Forbes 30 Under 30 List. Issa Rae, Michael B. Jordan, Laura Dern, Angela Bassett Variety Magazine’s Cover.